Ty Warner is a plush toy manufacturer, a hotelier, former actor and sole owner of Ty Inc. He is particularly respected for his philanthropic activities towards children. The 70-year-old entrepreneur dropped out of the Kalamazoo College in Michigan. His venture into several businesses, however, fared well and has fetched him commendable recognition. Kerkorian is a business mogul and a philanthropist who dropped out of 8th grade and decided to venture into several businesses that became profitable. He was a high-ranking board member of the entertainment enterprise, MGM before he stepped down in 2011, though he remains the company’s largest shareholder with a 19% stake, he also partnered with the American automobile industry. The 97-year-old Armenian American has donated over $1 billion to Charities in Armenia. David Murdock suffered Dyslexia and as a result, he dropped out of school in 9th grade. He founded Dole Food Company, Castle and Cooke, and Pacific Clay. He is also the founder of California Health and Longevity Institute (CHLI). Owing to his wife’s death, the billionaire philanthropist dedicated his line of business to nutrition, good health and disease prevention. He supervised the production of the Encyclopedia of Foods, A guide to Healthy Nutrition and supports the search for the cure of cancer. David Geffen is an entertainment mogul, another Dyslexic drop out billionaire. David attended several schools and made attempts to stay and succeed in school but all was to no avail, instead, fate and hard work led him to found Asylum Records, Geffen Records and Geffen film company. He is also the co-founder of DreamWorks Animation SKG Studio. He is as much an ardent art collector and a supporter of medical research activities. Donald Newhouse and his brother Samuel inherited Advanced Publications from their late father. He later dropped out of Syracuse University in New York to focus on his father’s business. Together with his brother, they collectively own a lot of print and media assets that include a cable TV company, The Bright House Network. The Newhouse brothers also have major stakes in Discovery Communications. Francois Pinault dropped out of school and started his entrepreneurial journey with the family’s timber trading business. Today, he is one of the richest men in France. His retail company, Kering owns a part of the Gucci group as well as other design houses that include Stella McCartney, Alexander McQueen and Yves Saint Laurent. He also owns Christie, an art business and auction house based in London, United Kingdom. Francois is an art collector. Sir Li is the richest person in Asia. The 86-year-old lover of golf and business mogul is the chairman of Cheung Kong Holdings, Hutchison Whampoa and Li Ka Shing Foundation. 15-year-old Li dropped out of school as a result of his father’s death. He worked in a plastic company where he was able to gather some business experience. From plastic manufacturing to real estate business, electricity and retailing (amongst others), Li Ka-Shing has exhibited his prowess in the world of business. His companies which take up a 15% slot in the Hong Kong Stock Exchange have granted 250,000 employment opportunities in 52 countries. Ted is a media mogul and one of the largest landowners in the United States today. He founded the first 24-hour cable news channel, CNN. He is also on the list of philanthropists who have donated $1 billion or more to the United Nations. He currently serves as the chairman of the United Nations Board of Directors Foundation. Ted built his empire from his father’s advertising business. He attended Brown University, where he was the vice-president of the Brown Debating Union and captain of the sailing team till he was expelled for having a female student in his dormitory room. Micky is the chairman of the largest cruise operator, Carnival Corporation. He owns about 12% of the company. The American Businessman also owns the Basketball team, Miami Heat. He is Forbes 191st world’s wealthiest man alive, ranking 66th richest in the United States. Micky Arison was born in Israel in 1949, dropped out of college in Miami to start working in the sales department at Carnival, which was founded by his father, Ted Arison, in 1972. Ralph Lauren is a force to reckon with in the fashion industry. As a young man, Lauren sold ties to his classmates and in 1967. He later opened a necktie store under the “polo” trademark. Ralph dropped out of the Baruch College after two years of studying business. After another two years of serving in the military, he worked as a salesperson in a couple of stores; the last of which was a tie store. He literally turned rags to ties. Lauren is also a chronic collector of automobiles. Jack Taylor was a business student at Washington University, St Louis before he dropped out to join the army (World War II). He worked as a sales manager in a Cadillac distribution Store, in partnership with the store, he started his Rent-A-Car Enterprise with only 8 cars. As at 1992, the enterprise revenue has reached up to $2 billion. He has also participated in several sponsorships and Charity events both within and outside the United States. Mukesh is the first son of the late Indian business tycoon, Dhirubhai Ambani. He is the chairman and managing director of Reliance Industries Limited, the second most valuable company in India. He has 48% stakes in the company. Aside from his prowess in Oil & Gas sector, he also owns the Indian Premier League franchise, Mumbai Indians. He has worked as a member of the board of directors, Bank of America Corporation and other petrochemical-related associations. He dropped out of the Stanford University to nurture their family business. Sheldon is an American business Mogul who dropped out of the City College of New York. He is the founder and CEO of Las Vegas Sands, also the founder of COMDEX, Adelson Family Charitable Foundation and Freedom’s Watch. He also owns Israel HaYom, an Israeli daily newspaper. From his teens, Sheldon has experimented with several menial businesses. He is well known for his hotels, resorts and casinos in several countries. Sheldon’s political flair and interest is not in oblivion. He has donated millions of dollars to many contesting politicians in the United States. Amancio is currently one of the richest persons in the world. He is the co-founder of the Inditex fashion group, owning about 59.29% of the company. He owns and started the Zara brand with designs he made with his wife in their living room. In his teen, he worked for a local shirt maker. The Spaniard business mogul also owns several other brands aside Zara with thousands of stores around the world and over 90 000 employees. Elizabeth Holmes is another Stanford dropout billionaire. She left a year after her enrolment to study Chemistry. As an intern at the Genome Institute of Singapore, she participated in the research for new methods for the detection of SARS in the blood. Elizabeth comes from a family with a pronounced health background. In 2003, she started her company, Theranos with the savings reserved for college. Theranos is a health technology and medical laboratory. She owns 50% stake in the company. Elizabeth Holmes is Forbes’ youngest self-made female billionaire in the world. Micheal Dell hails from Texas. The 50-year-old Business Mogul and Entrepreneur started assembling and selling computers while in college. He was a medical student at the University of Texas, Austin at that time. The young Michael decided to drop out to concentrate on his computer designs and manufacturing. 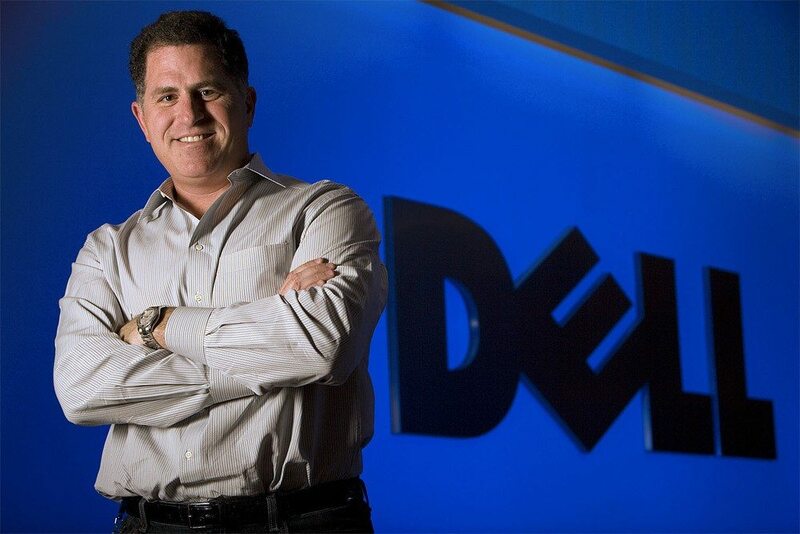 He is the founder of Dell Inc, a privately owned multinational computer technology company based in Round Rock, Texas. In 1999, he authored his biography, That Revolutionized An industry. Dell has been a member of the U.S. President’s Council of Advisors on Science and Technology. Larry Ellison is a software programmer, internet entrepreneur, businessman and philanthropist. He was the Chief executive officer of the software company Oracle Corporation between its foundation in 1977 and 2014, Larry has been named Forbes 3rd richest American and fifth richest man in the world. Ellison is a certified pilot and has worked with the CIA. In 1997, he worked with Steve Jobs as the director of Apple Computers. As at 2013, the 70-year-old earns a salary of $77 million. Larry Ellison owns stakes in several reputable companies. Sergey Brin and Larry Page co-founded Google, a company we all love and use today. While Larry is the CEO, Sergey is the Director of Google X and Special Projects. They each own about 16%, of the company. Google is an American multinational technology company specialising in Internet-related services and products. These include online advertising technologies, search, cloud computing, and software. Both friends trashed their PhD programmes in Computer Science at the Stanford University to start what we know today as Google. Mark Zuckerberg is the CEO and co-founder of Facebook. The 31-year-old billionaire was a psychology and computer science, major student before he dropped out to found his own company. Facebook was first launched from Zuckerberg’s Harvard dormitory in partnership with his roommates. From there, it spread to other campuses. Currently, there are over 1 billion Facebook users. Irrespective of his personal wealth, Zuckerberg’s salary is just $1. Think apple, think Steve Jobs. He was an American Entrepreneur, marketer and designer and inventor, who was the co-founder, chairman, and CEO of Apple Inc. Through Apple, he was widely recognised as a charismatic and design-driven pioneer of the personal computer revolution and for his influential career in the computer and consumer electronics fields, transforming “one industry after another, from computers and smartphones to music and movies. Steve dropped out of school six months after enrolling at Reed College in Portland, Oregon. On October 5, 2011, Steve Jobs died of Pancreatic Cancer. Bill Gates remains one of the richest men on the planet. A position he has maintained since 1995 till date. Gates dropped out of school to found his small Seattle-based Microsoft company with his bosom friend Paul Allen. Bill Gates is the richest man in the world for 16th time according to Forbes.